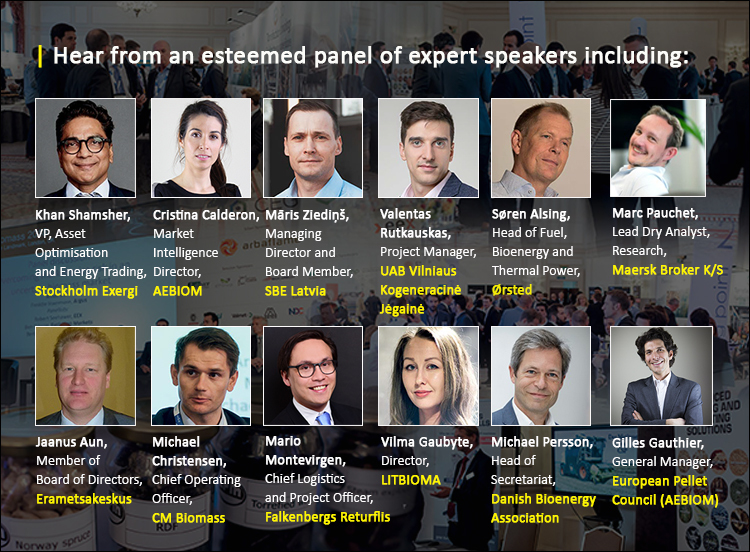 Drawing on the success of the flagship London Biomass conference, the inaugural event focused on the Nordic and Baltic regions, will bring together wood chip and wood pellet specialists from Denmark, Estonia, Finland, Germany, Latvia, Lithuania, Netherlands, Norway, Sweden and the UK. Agenda highlights will include a spotlight on raw feedstock availability, featuring a workshop led by Didzis Palejis, President of European biomass association Bioenergy Europe, and a panel debate on supply and demand led by representatives of CM Biomass Partners, Hofor, SBE Latvia, Stockholm Exergi and Orsted. As well as providing attendees with insight into tackling supply shortages, the sessions will analyse current biomass volumes in the Nordics, the use of waste wood as a biomass source, and discuss relationship-building to secure long-term contracts. Those already confirmed to attend include the Swedish Pellet Association, Baltpool, Bruning-Euromulch, Danske Maskinstationer and Entreprenorer, DLG, Doydans, DSHwood, Elkman, Enviva Management, European Energy Exchange, European Pellet Council, Falkenbergs Returflis, Hededanmark, Horizon Pulp and Paper, Inpasa OU, Litbioma, Niels Winther, Nobio, Peltrade, Private Forest Centre, Rindi Pellets, SBE Latvia, Simatek, Stockholm Exergi, TSE, Tyloskog, UAB Vilniaus Kogeneracine Jegaine, Vapo OY Pellets, Wood Pellet Services and more. Argus Biomass Nordics and Baltics 2018 will take place on 29-31 October at the Radisson Blu Scandinavia Hotel in Copenhagen, Denmark.